As the running distance increases, the time for other exercise becomes scarce. 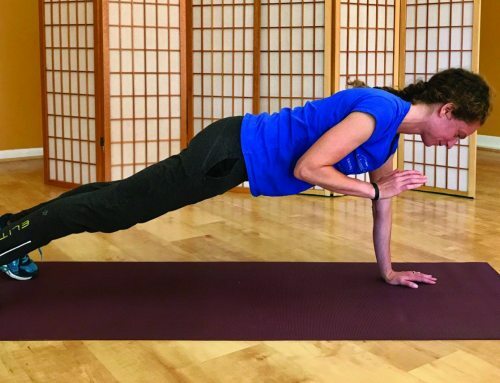 This exercise packs a large bang for the buck into a single motion. It improves single leg stability, the critical core element for running efficiency. It also provides hip extension (glute and hamstring) activation, a primary power source for running. One can also use this as part of a dynamic warm up or cool down. If you are using it as a warm up, move faster through a smaller range and no pauses. If as cool down, move slowly, easily, and hold each stretch component. Begin by standing on one leg with the knee and hip joints soft, not locked out. Move the standing leg hip backward as you bend your whole body forward, moving only at the hip joint. 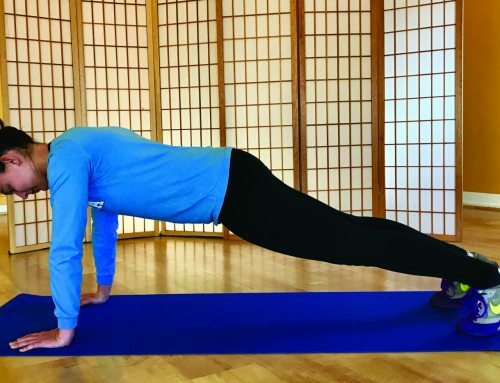 The core should be engaged to hold the spine straight and the glutes and thigh muscles of the non-weight bearing leg keep hold it in the same line as the torso as you bend forward. 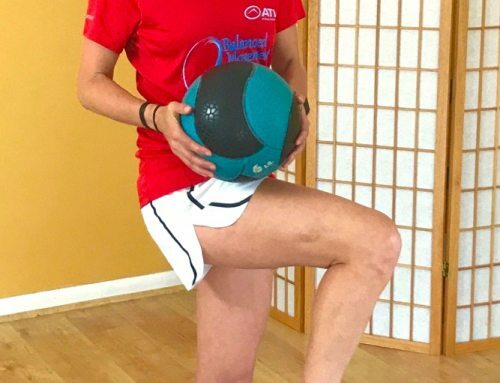 Maintain the front of the pelvis and torso parallel to the ground and bend until you feel clear activation and stretch in the glutes and hamstring of the stance leg. Pause at the stretch point, focusing in finding balance, stability and leveling the torso and pelvis. Return to upright stance by contracting the glutes and hamstring of the stance leg to push the pelvis forward and lift the torso upright. Repeat this motion, alternating legs, 10-15x. Exhale as you bend forward and inhale as you return to upright. If desired, you can add a quadriceps and hip flexor stretch component to this move. To do so, bend your knee on the free leg and hold your foot behind you as you do the forward bend.